A solenoid is a very important coil of wire that is used in inductors, electromagnets, antennas, valves, and many more. The application of a solenoid varies in many different types of industries. It can be used in a simple locking device, medical clamping equipment, an automotive gear box, and an air conditioning unit. Here are some of the most common applications where a solenoid can be of great importance. A solenoid is described as a coil of wire usually wrapped around a metal core. When the solenoid receives an electric current, it creates a magnetic field that can become useful in controlling locks, water pressure, air pressure, clamps, and the like. In industrial circles, it is often the term used to refer to solenoid valves, which is a device designed to actuate hydraulic or pneumatic valves. A solenoid is commonly found in automatic locking mechanisms. Some of the most obvious applications include door locks for offices, hotels, and high security areas. While the locking mechanism remains locked, the solenoid does not consume power. However, it consumes a bit of electrical energy when it unlocks. Hence, some locks are usually designed with battery slots. A solenoid is also very important in the medical field. Since medical equipment have to be very precise and accurate, solenoid manufacturing for medical purposes has to adhere to strict standards since human lives are at stake. It is an essential component for dialysis machines. Two solenoids are used in the device to control a person's blood flow during dialysis. A dosing machine also uses a solenoid to control the flow of medicine that goes into a person's blood stream. Automation is a very common in today's automobiles thanks to the solenoids used in the manufacturing process. Usually, the solenoid is used for interlocking in the gearbox drive selectors, which is important in the drive selection process. It is also used in car air conditioning controls, entertainment release mechanisms, and security systems. In fact, the solenoid is also a key component in some joystick controls designed for games that simulate the driving experience. The solenoid is also a vital component in many industrial machines. It can be found in devices that require locking, positioning, pinching, holding, rotating, diverting, valve operation, and more. Since solenoid can be used to actuate valves, it is used in a variety of applications where air and water flow is involved. 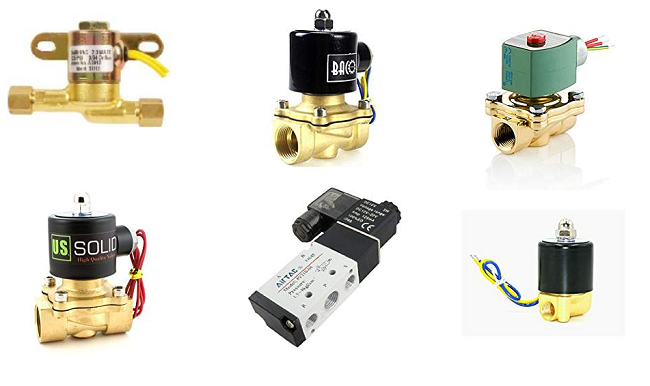 Solenoid valves, for example, are used in controlling water pressure in the sprinkler systems, air pressure in the air conditioning systems, and more. They can be found in agricultural equipment as well, especially in irrigation. Solenoids are highly essential in many automated applications today. They can be found in cars, industrial machinery, air conditioning systems, agricultural systems, medical equipment, locking mechanisms and even in simple household electronics. However, when buying solenoids or solenoid valves, customers have to be extra careful that they buy top quality products from reliable solenoid manufacturer. Solenoid valves are ideal for irrigation control. The diversity of what solenoid valves can accomplish is one of their greatest assets.